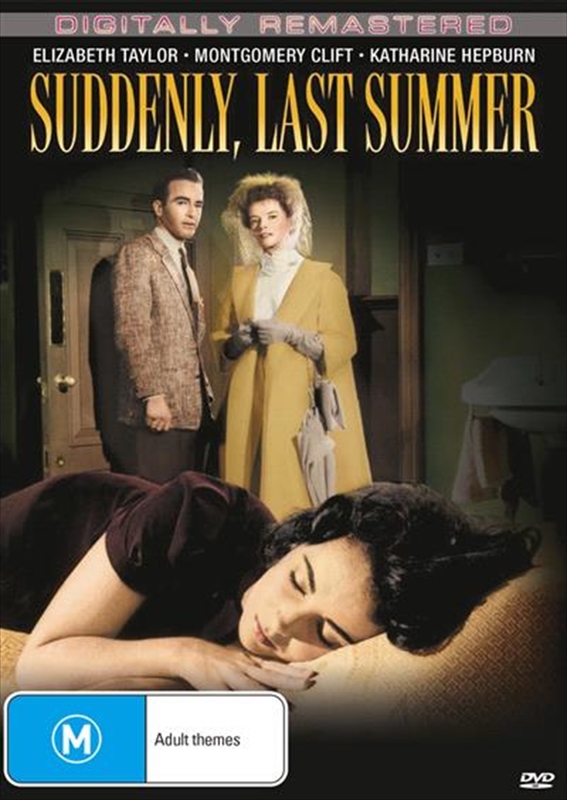 Elizabeth Taylor and Katharine Hepburn each received 1960 Oscar nominations for Best Actress in this gripping adaptation of the Tennessee Williams play. Beautiful Catherine Holly (Elizabeth Taylor) is committed to a mental institution after witnessing the horrible death of her cousin at the hands of cannibals. Catherine's aunt, Violet Venable (Katharine Hepburn), tries to influence Dr. Cukrowicz(Montgomery Clift), a young neurosurgeon, to surgically end Catherine's haunting hallucinations. Byutilizing injections of sodium pentothal, Dr. Cukrowicz discovers that Catherine's delusions are, in fact, true. He then must confront Violet about her own involvement in her son's violent death.